“I am hearing friends commenting on coconut oil and claiming it has cholesterol- lowering properties. What about it? It seems to be the new Big thing – is it? Any real benefits using this oil? I have always favoured canola, and olive oils. Am I wrong? 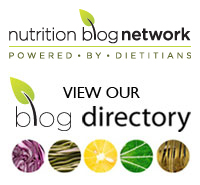 Thanks for any info you can provide on coconut oil.”, asks Enlightened Eater reader, Vicky Dekker. Vicky, you’re right. Coconut oil is definitely reaping a lot of attention these days but whether it is worthy of all the accolades may be another story. It’s being touted as a miracle ingredient – a cure all for ailments literally from head to toe. But before you buy the hype, there are some key considerations to keep in mind. Yes, it’s true that coconut oil is a saturated fat and that current science may no longer demonizing these fats as a promoter of heart disease. But saturated fats don’t have the all clear just yet. Research points to saturated fat as playing a role in insulin resistance – something that can go hand in hand with developing diabetes. There is also a popular misconception about coconut oil that drives me crazy. The predominate type of fat in coconut oil is known as medium-chain triglycerides (MCTs) and is metabolized in a different manner than other dietary fats. As a result, many people promoting coconut oil claim that you can’t store MCTs. 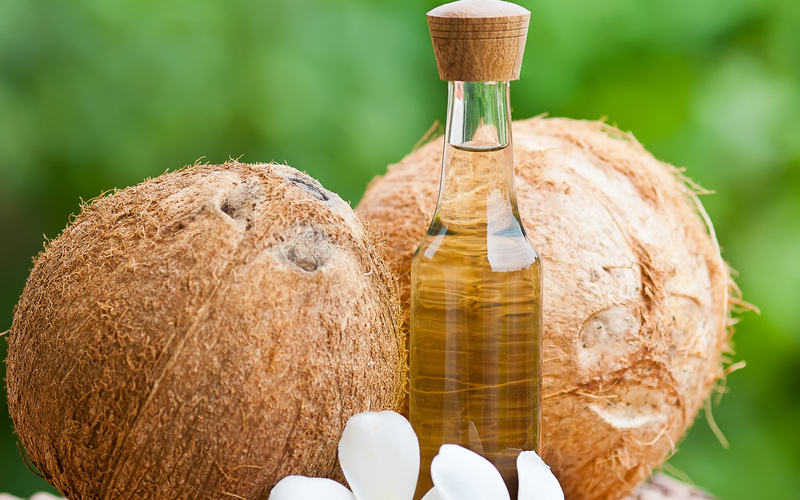 Even though coconut oil is a saturated fat, it’s a medium-chain triglyceride, which means the body burns it off right away; in other words, you get an instant hit of energy (great for a workout), but no fat is left behind for your body to store in your gut. Well, folks, the bad news is that if you consume too many calories from any source, there will be fat stored. The good news is that there have been a few studies linking coconut oil consumption to putting on less fat in the belly (the worst place to store fat in terms of disease risk). But the studies have been very small with very few participants included. More large investigations need to be conducted to really evaluate whether this is really the case. And not all coconut oil studies yield glowing results. A 2013 Danish investigation looked at the effects of a meal rich in medium-chain saturated fat (coconut oil) on the levels of fats in the blood of subjects related to those with type 2 diabetes along with those with no relatives with this type of diabetes (control group). While having fasting tests of blood cholesterol and triglycerides is the norm, there are many scientists who believe that measuring the fats in your blood after a meal offers more evidence about your heart disease risk than fasting tests do. Considering that we’re not in fasting mode most of the day, this theory may make sense. Back to the study, though. Those with diabetes in the family had significantly higher blood fat readings following the meal than the control subjects. Another key point to consider when evaluating coconut oil’s health perks is whether the oil is of the virgin or refined variety. Refined coconut oil is simply saturated fat and is missing the polyphenols found in virgin coconut oils. Polyphenols act as antioxidants and in other foods, such as extra virgin olive oil, tea, chocolate and wine, have been shown to confer a wealth of disease-fighting weaponry. The polyphenols in virgin coconut oil may offer anti-inflammatory action which may supply advantages for a number of health ills. Scientists are investigating coconut oil’s impact on a number of conditions including Alzheimer’s disease and arthritis. Another coconut oil myth is that its smoke point is much higher than that of extra virgin olive oil, making it a better choice for cooking. Compare virgin coconut oil’s smoke point of 350°F – significantly lower than the 410°F of extra virgin olive oil– an oil that consistently gets knocked because of a supposed very low smoke point. For more studies on coconut oil, read my post, What’s the verdict on coconut oil? When you look at all the hype you may read about coconut oil, it does sound as though it is a miracle food. But keep in mind that most of the scientific investigations on coconut oil have been carried out on laboratory animals. And those which have included human subjects have been few and have been very small studies. They simply can’t be used for scientists to form a consensus about coconut oil’s value in promoting good health. Small studies can only point researchers in a direction to investigate further. Larger studies are required before anyone can be more definitive about this oil. So before you replace those oils with a bounty of scientific research showing a range of health benefits, keep in mind that the verdict on coconut oil’s health impact is not yet in. In the meantime, prominent scientist Walter Willett, M.D., Dr. P.H., of the Harvard School of Public Health, recommends that as coconut oil has a wonderful flavour, there’s no problem using it occasionally. But he does suggest that it be done sparingly. Do you use coconut oil? Have you had any changes in your blood cholesterol readings since using it? Please share in the comment section below. My pleasure, Helen! Thanks for your feedback. It’s very much appreciated! Paige, thanks for your feedback! If you click through to my other coconut oil posts, you’ll find more links to studies but I have added a few more as well. But here’s one published on anti-inflammatory effects after I had written my piece: http://www.ncbi.nlm.nih.gov/pubmed/24613207.